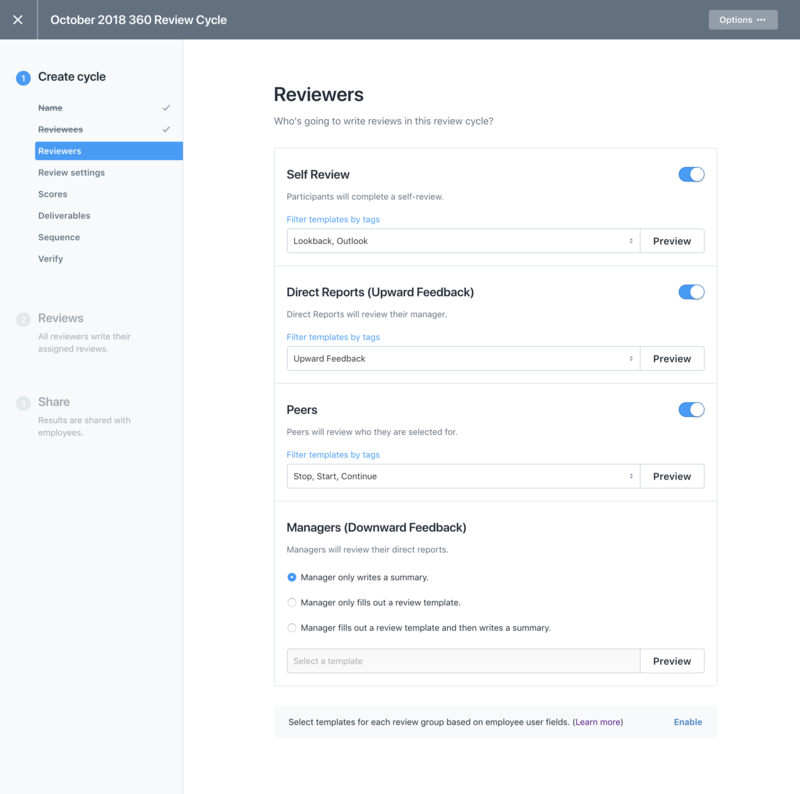 When creating a review cycle, you may want to assign different templates for different users based on a custom field (an identifying factor such as location or role). You can create a custom template prior to setting up the review cycle, or you can use our default templates! You can follow step-by-step instructions showing you how to set up a custom field here! Please note that during review cycle creation, this is referred to as a user field. Step 2: In the Admin panel, click on "Reviews" found in the left-hand panel and "Create new cycle"
If a Reviewee does not have information in the selected user field, they will fill out the default templates. Once you have made your selection, you will be shown the number of employees who do not have this user field and will be given the default template. 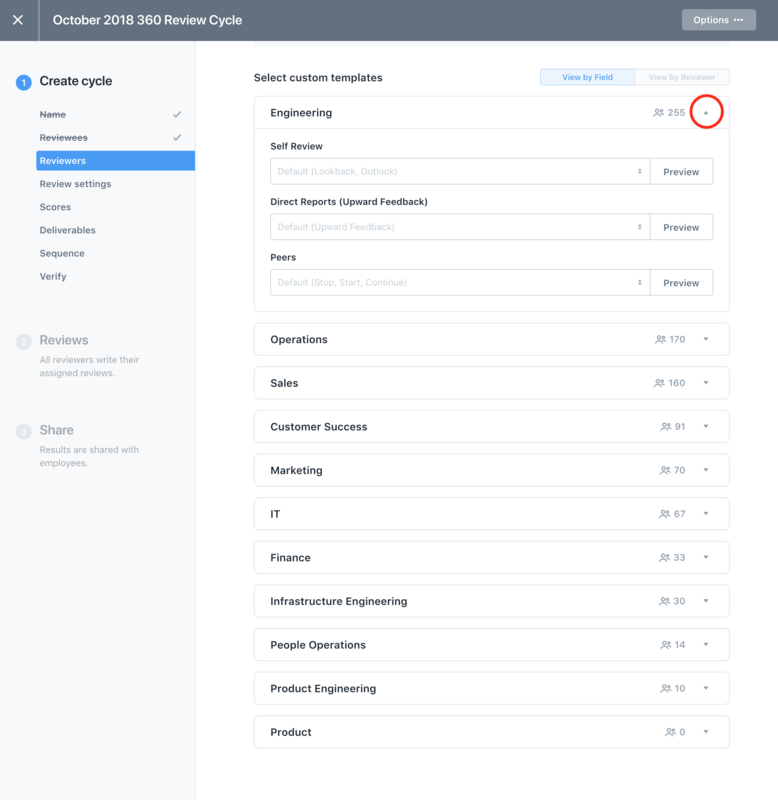 After you have selected how you want to customize your review cycles (such as using a custom field for location or department), you will see the options from the custom field expand below. You can then use the arrow on the right of the field to expand each group and make new template selections. Remember to verify your selections before you launch your review!